Inspirational quotes are the backbone of everything. You can say that it's a great source for motivational energy. If we talk about network marketing then surely it is sometime very scorable and sometime you get frustrated in it. The only thing which can get you out from this frustration is inspirational network marketing quotes. You can't be assure about one thing that is I can keep on moving in network marketing. You will surely face hurdles in your life. Then at that time quotes about marketing will help you to rise in the life. 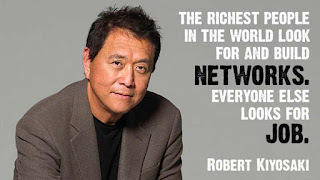 In this article we have found a quiet awesome collection of network marketing quotes for you. Read them and inspire yourself. “Many people work the business wrong, then claim the business is wrong when it doesn't work.” - Len Clements, Founder & CEO of MarketWave, Inc. So this was all about best ever network marketing quotes. Read them and get inspired. All quotes are very motivational and impressive, I truly enjoyed all quotes which you cover inside this article..good work bro..
Nice quotes , I have to say that for the last few of hours i have been hooked by the impressive articles on this website. Keep up the wonderful work.